Contacting LinkedIn for customer service can be difficult to do. The LinkedIn customer services phone number 650-687-3600 currently goes to the main office and the help email is a closely guarded secret. This is quite common for many large companies. 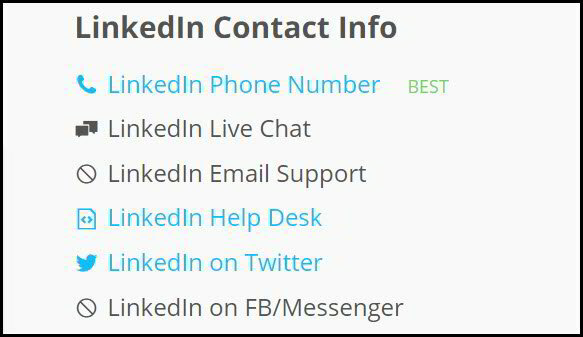 This article will list out the different LinkedIn customer support contact options and guide you on which ones work best, and which ones are a waste of time. Author’s Note: While I will update this article these LinkedIn customer services phone numbers and addresses, they are constantly changing. By the time you read this at least one in the article will be wrong, read below for the best ways to get LinkedIn customer support. Why is it so Difficult to Get Customer Service from LinkedIn? 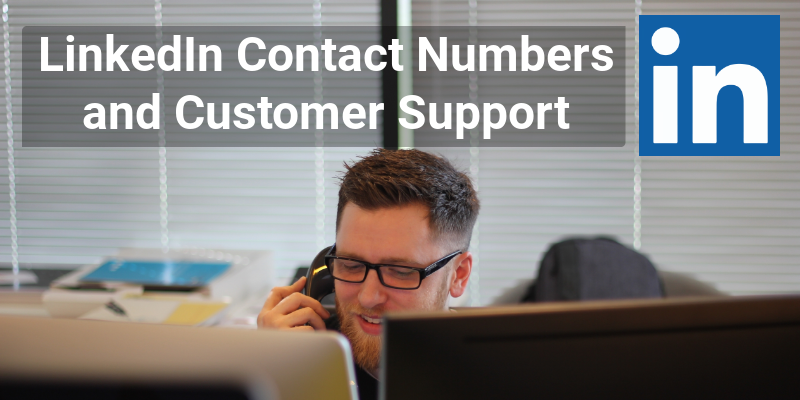 With many large platforms with millions of users, providing customer support can be a large cost of time and money. Many companies seem to be happy with directing you back to community forums where other users try to provide the answers (for free). It is true that many customer service questions are basic in nature and can be found under help Q&A’s. People often just don’t look and contact support instead. 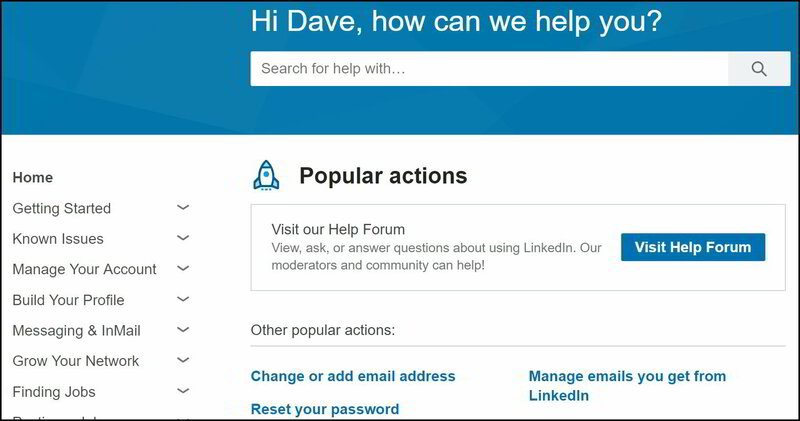 This may be the reason LinkedIn has decided to risk customer dissatisfaction by making most of the customer help links loop back to forums and Q&As. This is really frustrating when you have a legitimate problem like having your account suspended! I had a colleague with this issue which stretched on for six months before I pointed him towards Twitter (more below) where he got an immediate response. The fact is that most of the 600M users on LinkedIn use it for free and things are not going to change soon. LinkedIn Help Forum: While you won’t get to talk to a human that works for LinkedIn there are many earnest users who will try to help on it. Email: There is a form on an unrelated website Get Human which helps people find customer service contact details. Not recommended. I will continue to update this article as the LinkedIn customer service contacts are a moving target. For now, my advice is to start with its Twitter support for the fastest and most human response. Do you need help with your LinkedIn profile, strategy or training? Check out my Sales and Careers pages to learn more about how I help businesses, salespeople and job seekers. 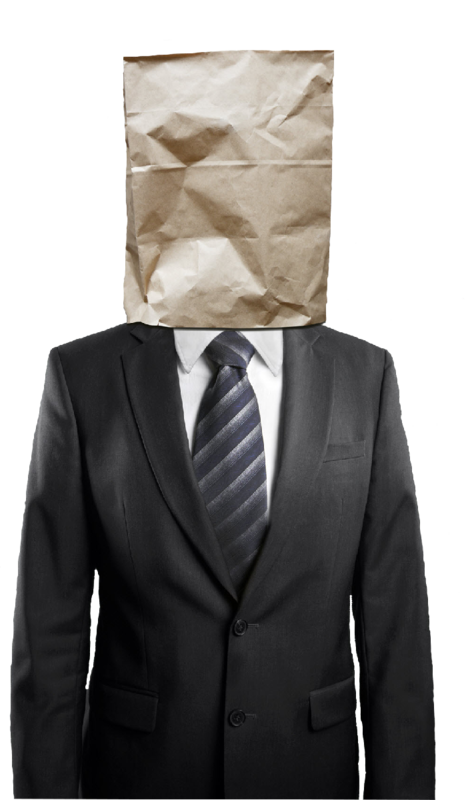 There are more resources on my Blog, such as my article on LinkedIn for Business or my Are You An Introvert Test?